In 2019, NYC Pride welcomes WorldPride in celebrating the 50th anniversary of the Stonewall uprising and a half-century of LGBTQIA+ liberation. Celebrate your pride and show solidarity with your LGBTQIA+ friends, family, peers, and allies by participating in the NYRR Virtual Pride Run 5K Powered by Strava wherever you are in the world, anytime between June 22 and June 30. For this race, we’re offering access to a limited-edition pair of Goodr x NYRR Virtual Racing Powered by Strava sunglasses when you purchase a NYRR Half-Marathon Virtual Training program in the virtual race checkout. 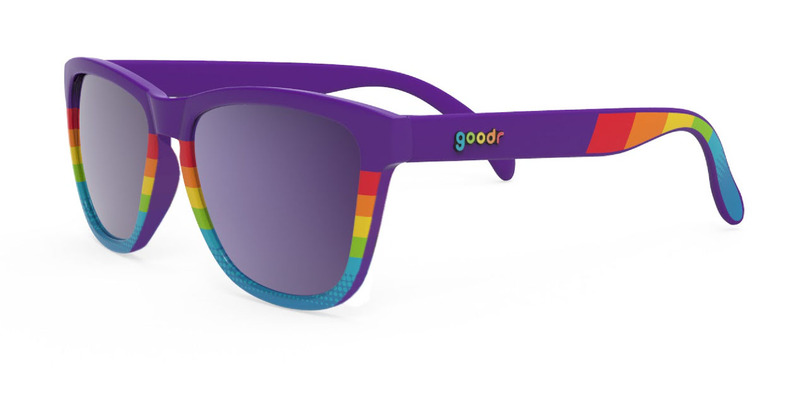 These Pride themed shades will only be available on a first-come first served basis, so act fast to lock in your Pride Goodrs and train in style for a half-marathon! (Stay tuned for more details on a virtual half-marathon this fall.) You will receive an email from NYRR late April with codes to redeem your training program and sunglasses, which will be shipped through Goodr. Please note: Goodr glasses can only be shipped to the United States and Canada. If you are planning to be in NYC on June 29, sign up to run the in-person Front Runners New York LGBT Pride Run 5M race as well! You can count your fastest 5K from your in-person race toward your virtual race result. While general entry is free, you can also purchase entry for this race to continue your journey to earning guaranteed, non-complimentary entry to the 2020 Popular® Brooklyn Half as part of the NYRR Virtual 6 program. Runners who signed up for this race at the NYRR Virtual 6 level by 11:59 p.m. 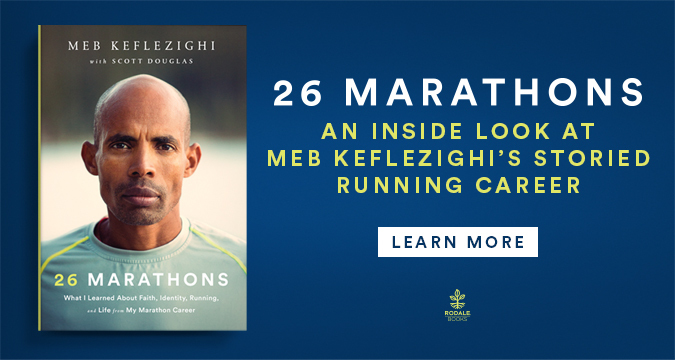 ET on April 12, 2019 were entered into a sweepstakes to win a signed copy of Meb Keflezighi’s new book, 26 Marathons: What I Learned About Faith, Identity, Running and Life from My Marathon Career. Read an excerpt from the book about his 2009 New York City Marathon victory on The Run On. What is an NYRR Virtual Race? A virtual race is a race that can be run at your convenience during a specified period of time. To participate in NYRR Virtual Racing, create your free Strava account, sign up for a race, and run or walk the distance of the race on a course you select wherever you are. Visit our FAQ page for additional information. For more information, including how to complete your virtual race, visit our NYRR Virtual Racing page.